At Hope and Comfort, we believe that everyone has the right to feel healthy, confident, and comfortable in his or her own body. We found that personal care products are heavily requested by pantry clients who are unable to get these essential items elsewhere. 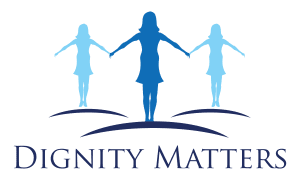 Dignity Matters is a local nonprofit organization that collects, sorts, and supplies feminine hygiene products, bras, and underpants to women and girls who are in need, in order to help them stay healthy, regain self-confidence, and live with basic dignity.